Is there any protection for historic beers? Old castles and town halls are protected by law and you can’t just add a plastic conservatory or a bay window to them. But beers are fair game. I say this because it has happened: the marketing people have effectively destroyed one of my favourite beers forever. Admitted, the beer itself will remain of good quality for at least the near future, but I will never be able to drink it normally again. Thank you, slick publicity guys who think money will solve any problem. Thanks for ruining my drinking experience. What has happened? I opened the latest issue of the Dutch-language Bier Magazine (which is, to be clear, a magazine to which I contribute myself), and encountered a flat-out disaster: the presentation of the Rodenbach Vintage 2015. 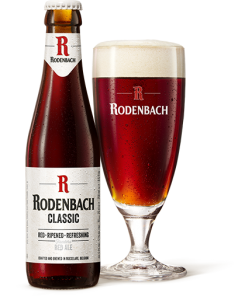 Rodenbach, that wonderful sweet-sour brown-red beer from the Belgian town of Roeselare, beer that for almost two centuries has been skillfully brewed, aged on oak barrels and then blended. 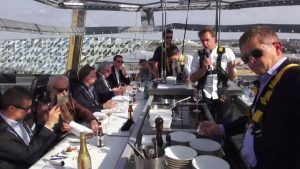 The thing is, they had made a ‘limited edition’ (which is an itch-invoking marketing term to begin with) and had invited a bunch of journalists for a tasting session combined with a three-course meal. Which is fine, you’d say. Good beer can and should be promoted, and breweries do pamper journalists on such occasions. They receive a goodie bag, are treated to a horse and carriage ride, that sort of thing. But not this time. The new director of Palm Craft Breweries, owner of Rodenbach and itself recently acquired by the Dutch Bavaria brewery, happens to be a former marketing/sales man at Unilever and AB InBev. And what had this Sven Stuer come up with? 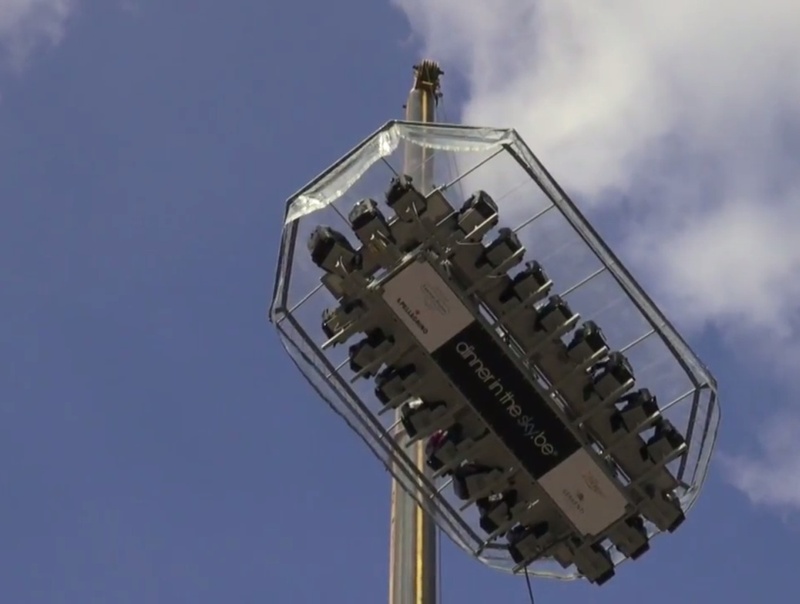 That this little tasting session had to take place at the altitude of 150 metres. Who? What? An enormous crane lifted table, chairs and journalists high above the Antwerp harbour. With safety belts and fluttering hair, those present had to struggle through three courses and a number of glasses of the 24 months old beer. Among them, the much-appreciated Bier Magazine chief editor Fedor Vogel, and also Dutch beer writer Fiona de Lange and Belgian grand old man Jef van den Steen. Poor head brewer Rudi Ghequire had to do the talk and pour the glasses. 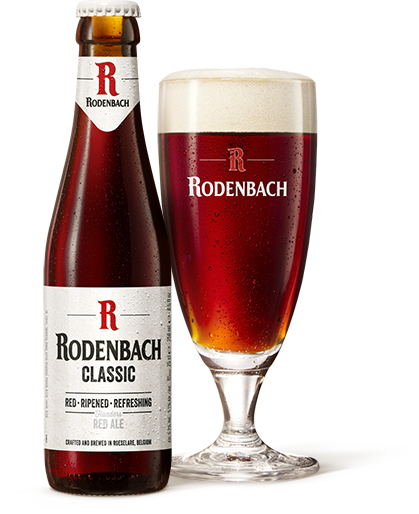 Suddenly, Rodenbach has become ‘Rodenbach classic’. What do those people at Palm Craft Breweries think? That the beer is not special enough by itself? That the divine drink that is Rodenbach is unsellable if it’s not accompanied by enormous quantities of hot air? At which unholy brainstorm session in a soulless office with flip chart has this been concocted? Recently they already had to restyle the label: sure, you’ve got to keep up with your time, but when the basic beer is suddenly called ‘Classic’, you suspect the worst. Does this mean that we can soon expect a Rodenbach Pink Grapefruit and a Rodenbach Lemon Lime? Good beer can only endure if there are also people who buy it, and so breweries must engage in PR activities. But in all this, I don’t recognise my good old Rodenbach. From now on, with every bottle that I open, I will not think of beautiful oak barrels, but of marketing/sales people and a crane in the desolate harbour of Antwerp. Slick publicity guys, thank you very much for ruining my Rodenbach. I truly hope this is satire, because if you’re taking a beer, any beer, so seriously you should probably consider finding another hobby. The new labels look unbearably awful. I have no idea how they thought they were representative of the product and would appeal to both the regular drinkers and a new audience.